Jessika is another snob who belittles and stands over the man she is with. She thinks she’s so much better than a farmer but he looks like a much more purer soul and genuine person. So it’s funny to watch her deluded self go about things. While it’s safe to say most of Australia is obsessed with Married At First Sight, it’s a good thing not everyone is as dangerously devoted as one super fan. 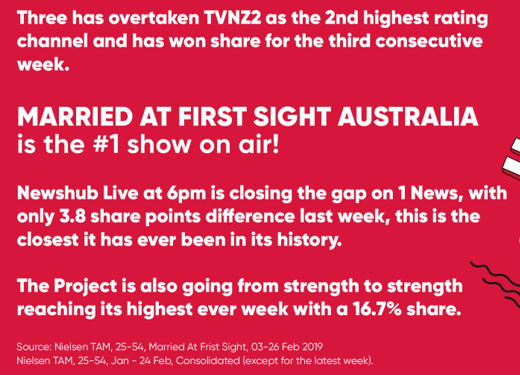 The current season is now the No.1 TV show on both sides of the Tasman. I don’t think many Australian shows have achieved this feat before this show. Not surprised even though they’re a week behind. I managed to catch a few episodes of the show while I was in NZ recently. The current season is now the No.1 TV show on both sides of the Tasman. It's supposed to be a program about regular people finding love. Did you poo poo your own story @TV_Addict? Or are you saying that the show is ? I made a comment earlier how they need people who are comfortable with cameras in their face following them 24/7 for a number of weeks. People who’ve done some acting work are generally a good fit for the show. People who’ve done some acting work are generally a good fit for the show. Because they need to act out the scenes that the producers have written? Exactly. Believe it or not people who have done an acting stint in their lives are real people too. Does it really matter that some of these people have attempted doing “extra” work on Home and Away or low budget movies or commercials years ago? Woopdidoo. All it says about them is that they want to be on camera and are good on camera so would more likely apply and get on a show like this. Because we’ve been brainwashed to accept fake people and contrived drama in our reality shows now. Old news. TC link was first reported last week & photos appeared Monday. Not really a spoiler a such, its been all over the news and radio. Fitzy and Wippa were talking about Todd Carney on Monday and asked her directly about it when she was in the studio and New Idea published photos.